The New York SGX Research Center for Structural Genomics (NYSGXRC) of the NIGMS Protein Structure Initiative (PSI) has applied its high-throughput X-ray crystallographic structure determination platform to systematic studies of all human protein phosphatases and protein phosphatases from biomedically-relevant pathogens. To date, the NYSGXRC has determined structures of 21 distinct protein phosphatases: 14 from human, 2 from mouse, 2 from the pathogen Toxoplasma gondii, 1 from Trypanosoma brucei, the parasite responsible for African sleeping sickness, and 2 from the principal mosquito vector of malaria in Africa, Anopheles gambiae. These structures provide insights into both normal and pathophysiologic processes, including transcriptional regulation, regulation of major signaling pathways, neural development, and type 1 diabetes. 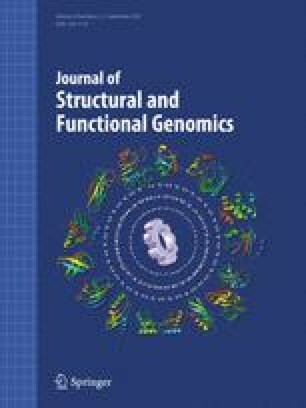 In conjunction with the contributions of other international structural genomics consortia, these efforts promise to provide an unprecedented database and materials repository for structure-guided experimental and computational discovery of inhibitors for all classes of protein phosphatases. The NYSGXRC is supported by NIH Grant U54 GM074945 (Principal Investigator: S. K. Burley). We gratefully acknowledge the efforts of all members of the NYSGXRC, past and present. This work was supported by NIH Grant U54 GM074945. Use of the Advanced Photon Source was supported by the U. S. Department of Energy, Office of Science, Office of Basic Energy Sciences, under Contract No. DE-AC02-06CH11357. Use of the SGX Collaborative Access Team (SGX-CAT) beam line facilities at Sector 31 of the Advanced Photon Source was provided by SGX Pharmaceuticals, Inc., who constructed and operates the facility.